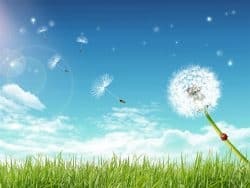 Natural support for allergies : find relief for your allergies. The study of allergies has become one way of understanding nearly every health issue. Common allergic reactions to foods and other substances vary widely, from frequent colds, hay fever, sore throats, and mucus problems to skin diseases, fatigue, depression, insomnia, headaches, and digestive disturbances. However it is actually helpful to have reactions to denatured, refined, and imbalanced foods, it helps us to know that these foods are damaging our health, and we can choose to avoid them. By the same token, allergic reactions may also commonly occur from supposedly wholesome items such as whole wheat, corn, soy, and a number of other unprocessed foods, which raises the question; why such products cannot be tolerated? One way to discover one’s food sensitivities is to keep a daily record of what is eaten and any changes in reactions. When an allergen is discovered, it may or may not have to be eliminated. For example, when wheat (or any other seed) is sprouted, it seldom produces an allergic reaction. There is the option of sprouting for a large variety of seeds. In most preparations of whole grains or legumes, it is suggested that the seed be presoaked for several hours. This removes phytic acid (the element that interferes with the assimilation of minerals in the seed), therefore soaking initiates the process of sprouting. Sprouting converts much of the starch in seeds into simple sugars, and protein into free amino acids. Therefore, the sprouting of grains, legumes, and other seeds make them much more digestible. Soaking grains and legumes before cooking may sufficiently help to relieve allergies to these foods. It is well known that allergic reactions extend beyond food to animal hair, dust, water, sunlight, etc. By consistently following a simple, high-quality diet, the liver will gradually be rebuilt and its ability to neutralize allergenic substances restored. 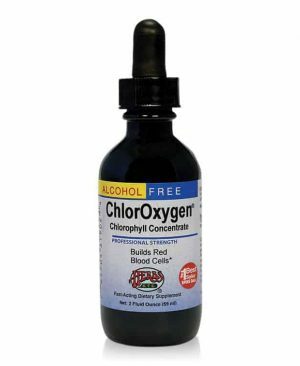 To speed up the process, any chlorophyll-rich foods such as micro-algae and cereal grasses may be emphasized. These are helpful as a support for clearing allergies because of their immune-enhancing, anti-inflammatory properties as well as their large supply of omega-3 and/or GLA fatty acids. 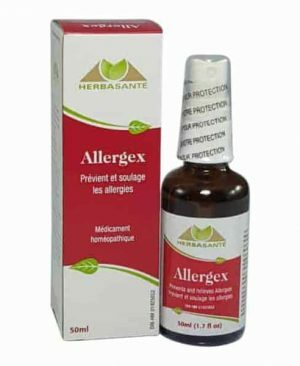 Natural support for allergies with various products offered here on the SynerG Supplements dietary food supplements website, such as herbal extracts like Herbs Etc Allertonic, Chloroxygen, and Liver Tonic. The best natural support against seasonal allergies. 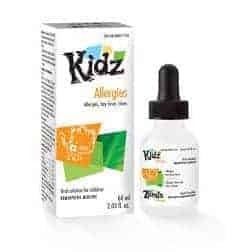 Relieves and prevents seasonal allergies. 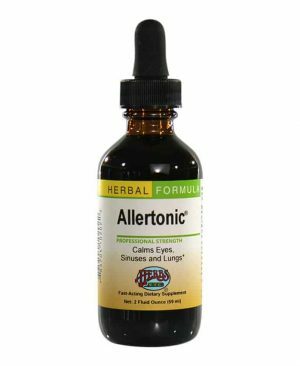 Allertonic® 59ml (2 oz.) Herbal formula – Professional strength – Fast-acting dietary supplement. Calms eyes, sinuses and lungs. 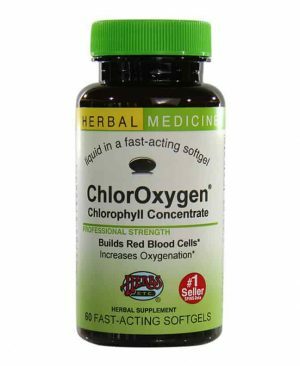 ChlorOxygen ® Chlorophyll Concentrate 60 Fast-acting softgels – Herbal medecine – Professional strength – Herbal supplement. 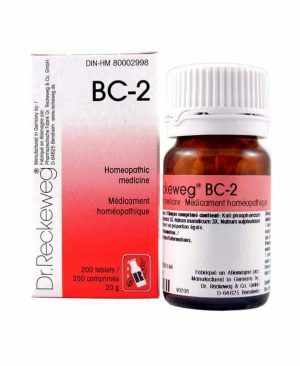 Used in Herbal Medicine to build red blood cells. 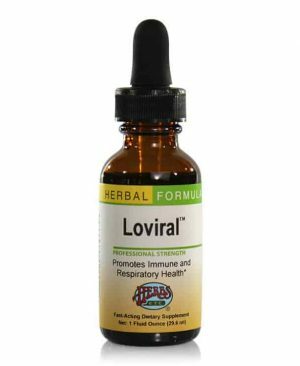 Loviral™ 1 oz. 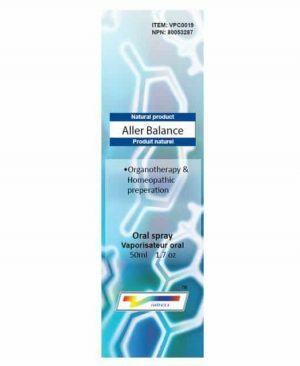 (29.6 ml) Herbal formula – Professional strength – Fast-acting dietary supplement. Used in Herbal Medicine to stimulate expectoration.